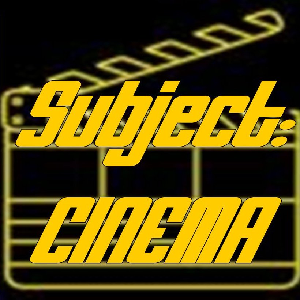 Hey Subject:CINEMA Fans! Hey Marvel Cinematic Universe Fans! Hey Comic Book Fans! This is all for you! As eCO and Subject:CINEMA (and the whole damn planet, it seems!) count the days to what could be the biggest film opening of all time on April 26, when “Avengers:Endgame” hits theaters, we’re taking a look back at the ENTIRE Marvel Cinematic Universe films in chronological order! Running Friday April 5 through Thursday April 25, eCO and PNRNetworks will present “Subject:CINEMA’s ‘Avengers:Endgame’ MCU Countdown”, a brand new podcast miniseries! Each day, S:C hosts TC Kirkham and Kim Brown will bring you current thoughts about the upcoming film, along with reviews of the Marvel Cinematic Universe films in the order of release. The miniseries will feature classic S:C reviews of all the MCU films reviewed over the past eleven years on the show, a BRAND-NEW review of “Avengers: Age Of Ultron“, and reviews for two MCU films never-before-reviewed on S:C, “Spider-man: Homecoming” and “Captain Marvel“! The fun starts Friday April 5 with 2008’s “Iron Man” and will travel right on through the adventures of the Marvel Cinematic Universe to 2019’s “Captain Marvel” on Thursday, April 25, and our review of “Avengers:Endgame” will be recorded and posted IMMEDIATELY after we screen the film on Friday, April 26; like everyone else, we’re making this a real (or is that REEL, heh heh) event viewing, and will take it in with our first-ever visit to Boston’s newest luxury theater, the Kerasotes Showplace Icon Boston in Boston’s Seaport district! If you subscribe to the Subject:CINEMA feed, you’ll get your episodes automatically; they’ll also be playable on our site and our YouTube channel, so don’t miss it – it’s the biggest miniseries event in PNRNetworks history! BE THERE!